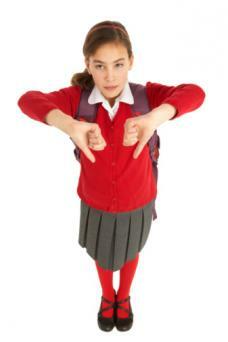 What Do Kids Think About School Uniforms? A student's opinion on school uniforms varies depending on factors like age, gender, and socio-economic status. While many kids instantly dismiss the idea of school uniforms because they want to be able to choose their own clothes, others point to more compelling reasons, such as gang involvement and school pride, for why they should or shouldn't wear specific clothing. 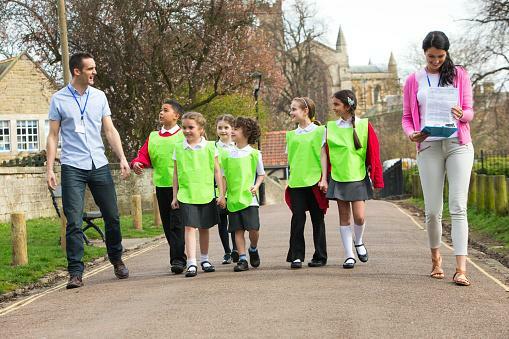 The vast majority of kids don't want to wear school uniforms. According to one districtwide survey in Volusia County, Florida, nearly 70 percent of students said they were against a uniform policy. The reasons why kids don't want to wear school uniforms are diverse, from not wanting to wear ugly school uniforms to wanting more self-expression. Kids' opinions on school uniforms include the following. Uniforms don't follow any of the current fashion trends and often they have been the same for generations. Kids feel that uniform colors and styles are too old-fashioned. Young Post, part of an English newspaper in Hong Kong written for and sometimes by kids, offered students a chance to share what they'd change about their school uniforms in 2016 and many said the ugly school uniform style was most in need of help. Savannah, age 13, says "Our uniforms are scratchy, boring, and ugly... I want them to be as nice looking as our casual, everyday clothes." Kids love to experiment with their clothing and accessories; a student's apparel is an extension of her personality. People say you only get one chance to make a first impression, and for kids, clothing is an important part of that first impression. Kids often feel constricted by the rules and regulations of the classrooms and school uniforms only further emphasize that restricted feeling. As Maryam, age nine points out on Discovery Girls "Sometimes clothes can show your emotions and expression... and you should be happy you're different." Ashley, age thirteen, adds "People should have choices." According to The Comet, many kids feel uniforms limit self-expression. Sophomore student Deandre Jones says: "...everyone should be able to wear what they want." One idea advocates for school uniforms push is uniforms save families money. However, kids are quick to point out that they still want to buy stylish clothing to wear outside of school or more unique accessories to wear with their uniforms. This means that students essentially have two wardrobes. If they didn't have uniforms, they could wear a lot of their same clothes to school. On one classroom blog, third-grader Kaitlyn shares how expensive it can be for parents to buy items of clothing that cost around $30-$40 each especially because "kids are sometimes careless with their clothes" and "if they get them stained or dirty, then their parents have to spend more money." Kaitlyn adds "there are never sales" on this type of clothing. Uniform requirements often require tucked in shirts for boys and girls and skirts for girls. Some kids feel these styles aren't flattering to certain body types, and they increase students' feelings of insecurity. In a 2016 article for Howler News from Westside High School in Houston, Texas, students share opinions about fashion and school uniforms, including concerns over fit. Miguel comments "When students have to wear the same outfits, rather than being allowed to select clothes that suit their body types, they can suffer embarrassment at school." There are some students who support the idea of uniforms although they may feel like a minority for their positive opinion on school uniform dress codes. Their reasons for agreeing with the implementation of uniforms include the following. Kids who wear uniforms don't feel the need to compete with each other on buying the latest, and sometimes most expensive, clothing brands. 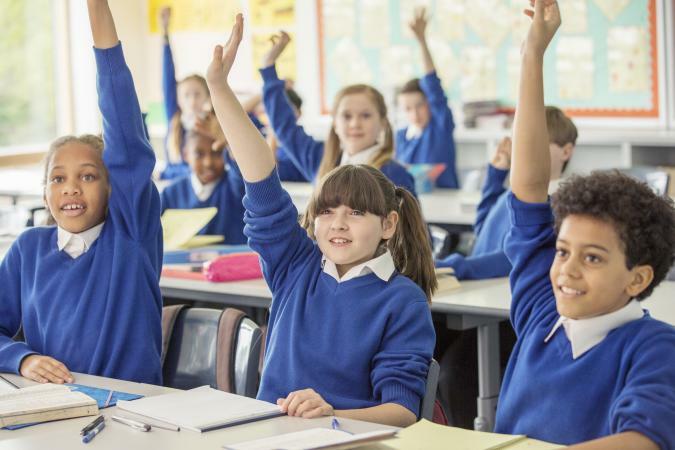 Irish media outlet TRTE polled viewers on their opinions about school uniforms in 2017 and got a variety of results including several comments about eliminating bullying based on clothing brands. Amelia says, "I think uniforms... help prevent bullying. You are less likely to be teased about the cost or style of your clothes." Some kids love the idea of not having to decide what to wear each day. Instead of spending time putting together outfits, a student simply puts on his uniform. Chant'e Haskins shared her opinion after going from a school with no uniforms to one with uniforms. She says after wearing the uniform for a whole school year she "was so used to wearing the uniform it did not even bother me anymore." Chant'e adds she saved time in the morning by not having to pick out an outfit and was able to customize her look with accessories to keep some individuality. Kids who are proponents of uniforms also point to the fact that everyone looks virtually the same, cutting down on socio-economic cliques throughout the school and helping identify everyone as part of the same student body. Callum from the TRTE poll suggests "... it makes all children equally the same." In the same article, students from Ms. Gill's class add uniforms "... show that everybody goes to the same school, all are included and are a part of the school." Proponents suggest kids who wear school uniforms feel more connected to their school, encounter less bullying, and have a more professional attitude. All of these factors contribute to more positive behavior in the school. In one school's online survey, about 25 percent of student respondents said they believe school uniforms would promote positive behavior. The school uniform debate has a long history; it's is relevant today and will likely carry on into the future. While there are statistics for both sides of the school uniform debate, the ultimate decision, usually lies with a school district's board of education. While students can share concerns or school uniform opinions with school officials, often their only recourse is to change schools if they disagree with the system's clothing requirement.